This color palette looks bright and cheerful! The current colors inside the new box is a nicely textured peachy orange. What color shall we paint our new box? I'm thinking bright and lively, but not too obnoxious. What do you think? 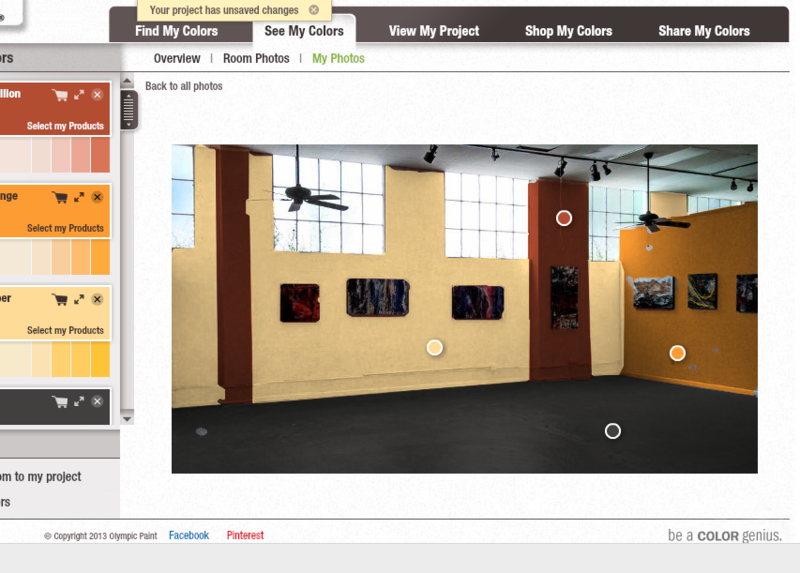 I used a cool online room visualizer to paint the room. Score is total work time.